With the conclusion of U.A. 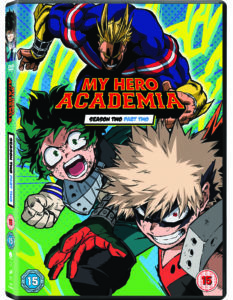 High’s Sports Festival in the previous volume, released in April, Izuku Midoriya and the trainee heroes of Class A-1 will face a terrifying new threat in My Hero Academia Season 2 Part 2, launching on Blu-ray and DVD on 11th June 2018, courtesy of Sony Pictures Home Entertainment. Produced at Bones (Fullmetal Alchemist) under the direction of Kenji Nagasaki (Gundam Build Fighters), this new volume adds Go Inoue (Naruto Shippuden) to the cast as Hero Killer Slain, voted the “Best Villain” in last year’s Crunchyroll Anime Awards. Robert McCollum (Attack On Titan) portrayed Stain in the included English language dub. 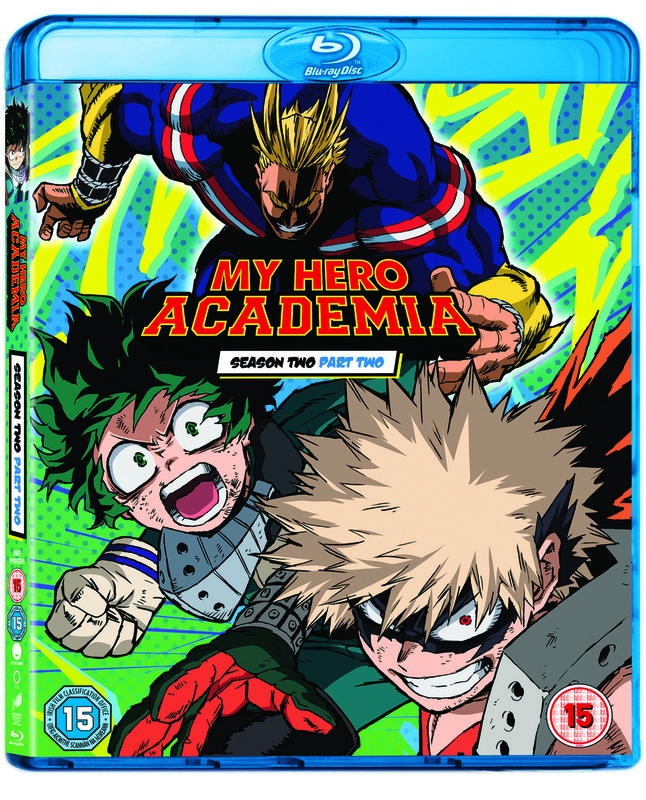 You can currently pre-order My Hero Academia Season 2 Part 2 on Blu-ray and DVD at Zavvi, with other retailers likely to open pre-orders in the near future. (Note: the aforementioned links are affiliate links. Click here for more information on Anime UK News’ affiliate policy). Pre-orders open for Sony Pictures Home Entertainment’s first Funimation release, the second season of the anime pop culture sensation Attack On Titan!